The ABS motor relay supplies power to the ABS pump motor. While the ABS is activated, the ECU turns the motor relay on and operates the ABS pump motor. If the voltage supplied to the motor relay (+BM) is below the DTCs detection threshold due to low voltage from the battery or alternator, the DTC may be stored. When the motor relay is actuated, voltage is not supplied to the pump motor. When the motor relay is not actuated, voltage in the pump motor is high. When C1241/41 is output together with C0273/13, inspect and repair the trouble areas indicated by C1241/41 first (See page ). 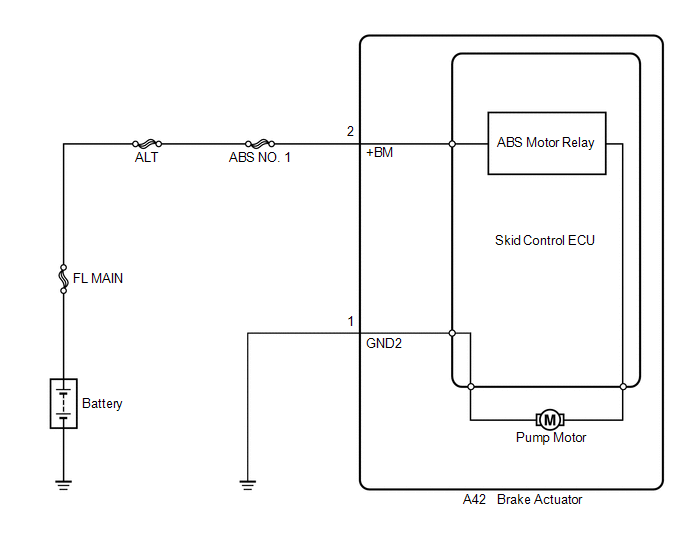 (d) Check the operating sound of the ABS motor relay when operating it using the Techstream. This code is detected when a problem is identified in the brake actuator assembly. The ABS motor relay is in the brake actuator assembly. Therefore, ABS motor relay inspection and motor relay unit inspection cannot be performed. Be sure to check if the DTC is output before replacing the brake actuator assembly. If a speed signal of 15 km/h (9 mph) or more is input to the skid control ECU, with the ignition switch ON and the stop light switch off, the ECU performs self diagnosis of the motor and solenoid circuits. 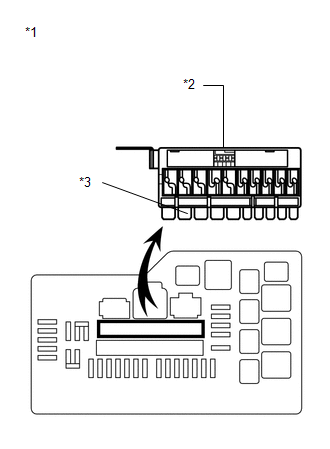 If the normal system code is output (the trouble code is not output), slightly jiggle the connectors, wire harness, and fuses of the brake actuator assembly. Make sure that no DTCs are output. 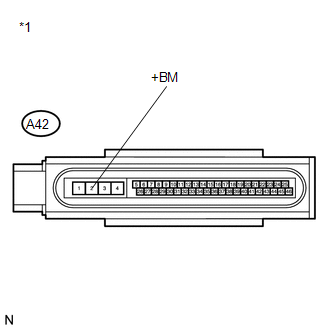 If any DTCs are output while jiggling a connector or wire harness of the brake actuator assembly (skid control ECU), inspect and repair the connector or wire harness. 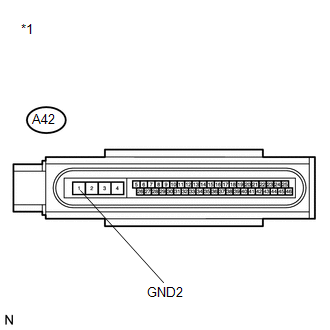 It is suspected that the DTCs were output due to a bad connection of the connector terminal. (b) Remove the fusible link block from the engine room relay block. (c) Check if the fusible link is melted. The fusible link is not melted. (a) Install the fusible link block to the engine room relay block.